Today’s post is a little different from all the rest. I thought about sharing some of my favorite memories of Christmas music we loved when we were kids – but Bev and I always had very different tastes in music. Then I realized that the one thing that we definitely shared in common growing up were the TV specials that we watched each year at Christmastime. Unlike today, if you missed one of these shows, you had to wait a whole year before you had a chance to see it again. They were a BIG DEAL. So today – if you will indulge me – I’m going to relive some of those happy memories of times gone by. Since Bev isn’t here to reminisce, I hope you don’t mind if I share my remembrances with you. When I was growing up, this was how we KNEW that Christmas was coming – A Charlie Brown Christmas (1965) came on TV. I can’t remember if I saw it the first year that it aired – I would have just turned 5 – but it was always a part of Christmas growing up. The character of Linus will always have a special place in my heart, because – like him – Bev used to carry around a security “blanket”; in her case, it was a well-loved teddy bear (which we found while going through her things; he is now “living” at my house). I’m sure we drove our parents crazy, dancing around the house, imitating the kids from that scene – I always liked doing the one with the “head bob” and hopping from one leg to another; Bev liked to do the “Zombie Walk”. 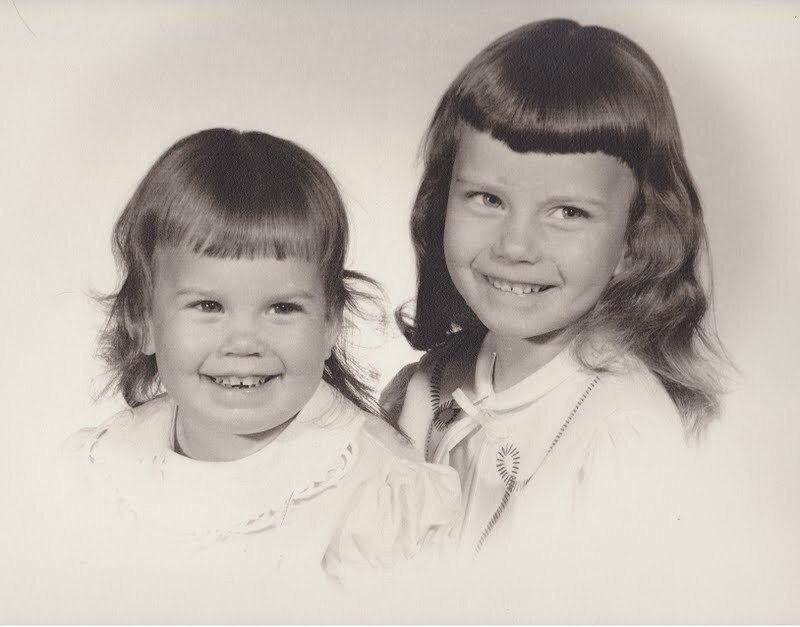 And of course, we would pester our parents to buy us some Dolly Madison cakes afterwards (I don’t think they ever did, but we figured it never hurt to ask). I seem to remember Frosty the Snowman (1969) being one of Bev’s favorite Christmas shows. I never understood why I didn’t care for it quite as much as she did – my guess is that I was starting to outgrow kids’ shows at that point; being 9 years old, I had already figured a couple of things out. That was the first year that I was allowed to stay up late and help do “grown-up” things on Christmas Eve. I got to draw the card that Santa gave Bev that year, letting her know that she was going to be getting a kitten for Christmas. “Mama Kitty” was a beloved member of our family well into our college years. Finally, it just wasn’t Christmas unless we saw How The Grinch Stole Christmas (1966). We just LOVED it when Thurl Ravenscroft (the voice of Tony the Tiger) sang “You’re a Mean One, Mr. Grinch” – it’s just a fun song. Well, that’s it for today – thanks for letting me share my memories with you. This entry was posted in Advent/Christmas, Family, Holidays, Music and tagged "Frosty the Snowman", "Holly Jolly Christmas", "Linus and Lucy", "One Foot In Front of the Other", "Rudolph the Red-Nosed Reindeer", "Santa Claus is Coming To Town", "You're a Mean One Mr. Grinch", A Charlie Brown Christmas, How the Grinch Stole Christmas, Thurl Ravenscroft, Tony the Tiger, Vince Guaraldi Trio. Bookmark the permalink. Aww, Tess! Thinking of you today and sending much love across the miles. Your memories of Bev are beautiful and touch my heart. Love you, dear friend.